The theme of this year’s Empowerment Series was “You and Your Money”. Considering the economic situation today and the difficulties this poses for seniors, this was a very topical choice. 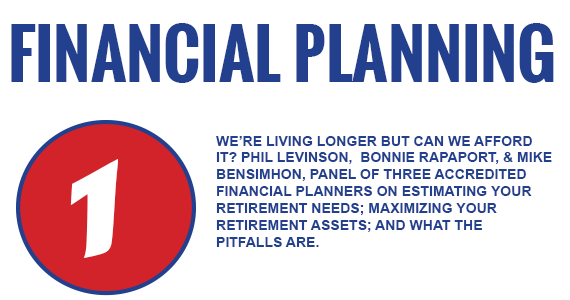 Estimating your retirement needs; maximizing your retirement assets; and what pitfalls are. 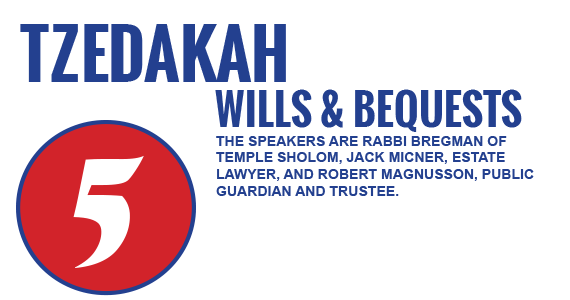 The theme of the first session of the JSA-Snider Foundation Empowerment Series 2011-12 was “Managing your Money in Uncertain Times” was held at Congregation Schara Tzedeck Nov. 2011. The panel consisted of three financial advisors, Mike Bensimhon, Philip Levinson and Bonnie Rapaport. The panel was moderated by another expert in the field, Sam Shamash. Each speaker focused on a different aspect of the theme. 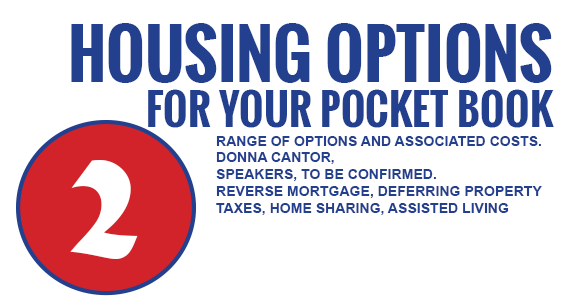 The second session “Your Housing Options” took place on Feb. 1st at the Jewish Community Centre. It was co-ordinated by Donna Kantor of the Jewish Family Service Agency. The speakers at this meeting were Kelly Therrien, Banking Consultant Manulife, Mavis Friesen, Manager Supportive Living VCH, Paulona Ho, RN Central Intake VCH, Michelle Cunnington, GM Cavell Gardens. All options from living in ones own home to independent supportive living, to the various levels of residential care available were described. The extra safety net that has been created by the JFSA for support services offered on a sliding scale was presented. Mention was also made of the advocacy work of JSA and the seniors programming of the JCC as further contributing to the well being of seniors. 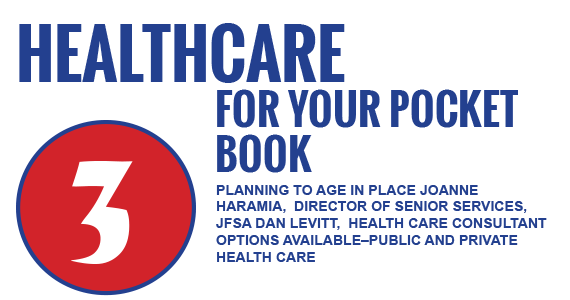 Joanne Haramia, Director of Seniors’ Services for the Jewish Family Service (JFSA) spoke about the importance to plan for care and retirement while still in your 40’s and 50’s. Aging in place is always preferred but it needs to be part of an overall plan, which includes finances, quality of life and independence. Peter Silin, President of Diamond Geriatrics, spoke about how transitioning from independence to dependence, that is, to a care facility can be a positive experience but it can also be a harrowing experience. He indicated that much thought and family support is required. 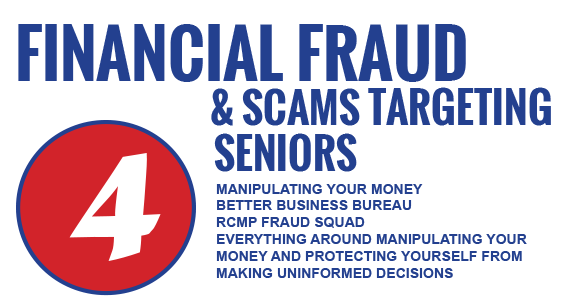 Lynda Grange, from the Financial Crime Unit of the Vancouver Police Department spoke of the many scams being perpetrated today with an emphasis on those specifically targeting seniors. She mentioned Ponzi schemes, grandparent scams, telemarketing frauds and fake charity representations. We were cautioned to be aware, if it sounds too good to be true, don’t trust it. Rabbi Bregman explained the Jewish concept of one generation taking care of the next and how this is becoming more difficult in present circumstances. At the same time, we must continue to teach our children, by example, the mitzvah of Tzedakah. Jack Micner spoke of the importance of a clearly outlined will, which would ease the passing of a loved one for the heirs. The executor must be a person trusted by all involved. Minimizing the need for probate can also simplify thing both financially and timewise. She explained that thanks to health and longevity, Canadians are pioneering a change in what becoming a senior and growing older really mean, stereotypical thinking no longer applies—a clearer picture is rapidly emerging. 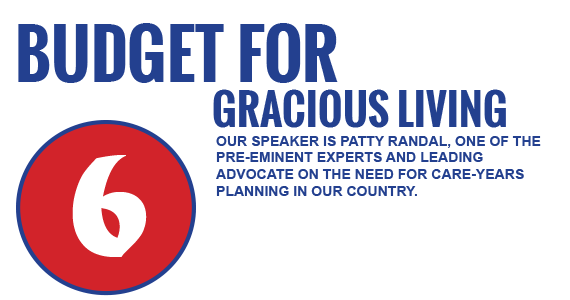 Aging successfully in our country today requires that we age with passion, purpose and care-years planning for our future—with our eyes wide open!